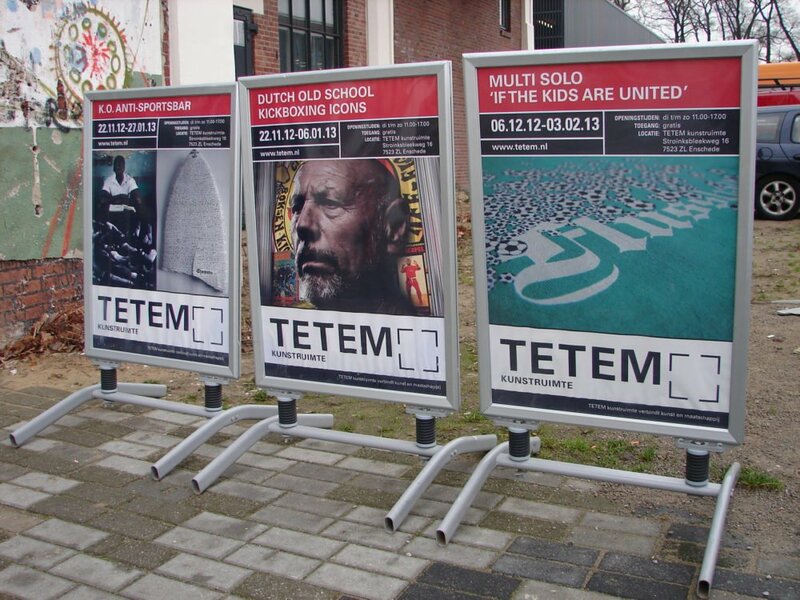 Theo Ploeg is guest-curator of the Multi Solo exhibition If The Kids Are United in TETEM, Enschede. 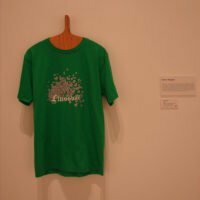 The exhibition is about how the true nature of soccer (culture) – myths, unity and authenticity – can be an antidote against the irrational post-industrial society. I was invited to show Flussball here. 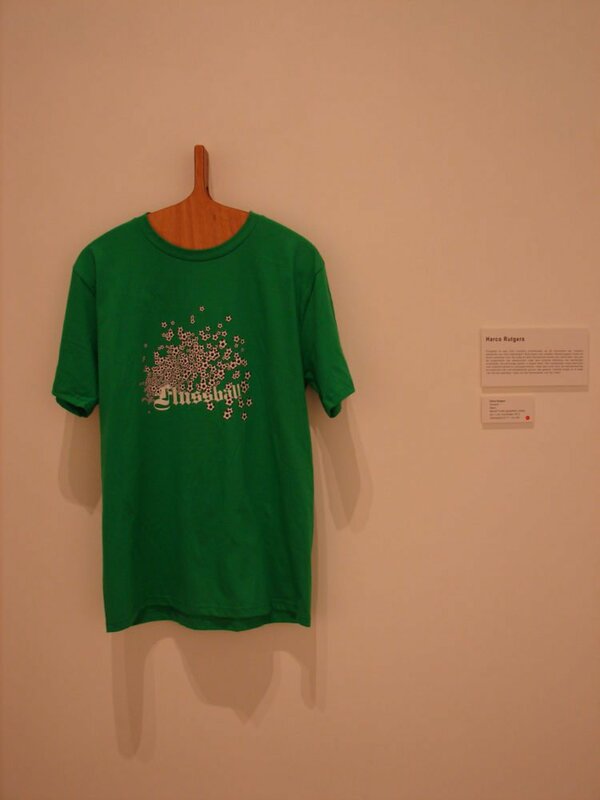 Some of you may recognise Flussball as a T-shirt design I made years ago, but it never materialized at the time. 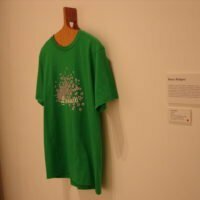 The invitation and the theme of this exhibition made me decide to produce one (yes, only one!) 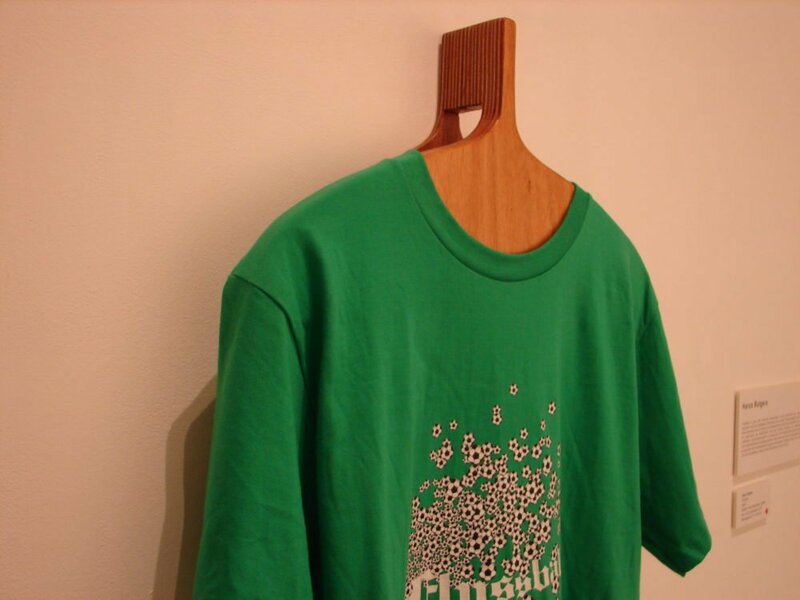 Flussball T-shirt for If The Kids Are United. 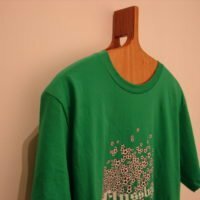 I’m also making a special coat hanger that makes it possible to hang this T-shirt on the wall, instead of wearing it. Other artists: Dorian Cox, Raymond Cuijpers, Christopher Dawson, Marc van Elburg, Richard Foster, Gerda van de Glind, Lars Ickenroth, Niels Smits van Burgst and Wim Vonk. 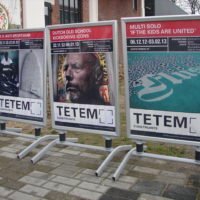 The opening coincides with the opening of two other exhibitions in TETEM: K.O. anti-sportsbar and Dutch Old School Kickboxing Icons. With a speech by curators Arno Coenen and Theo Ploeg followed by a special DJ-set by Southern Depot and a live drawing performance by Richard Foster. 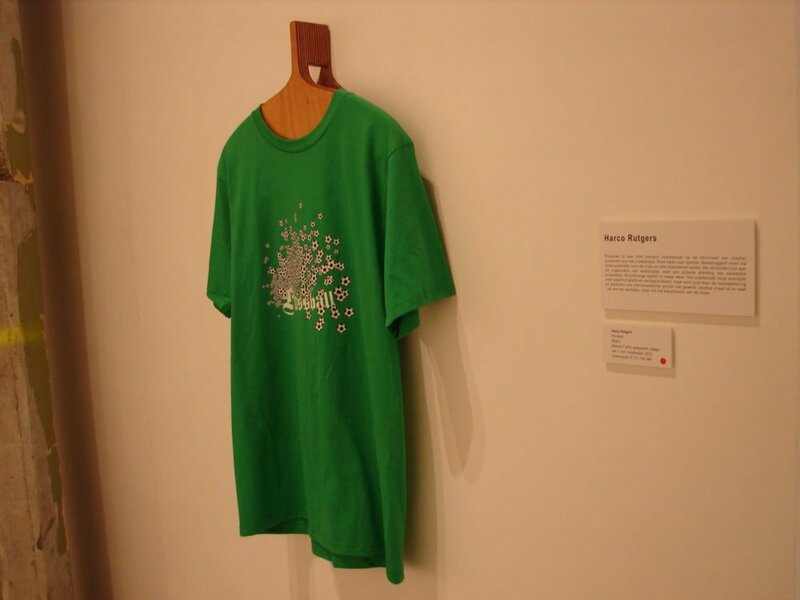 This work is in private collection.